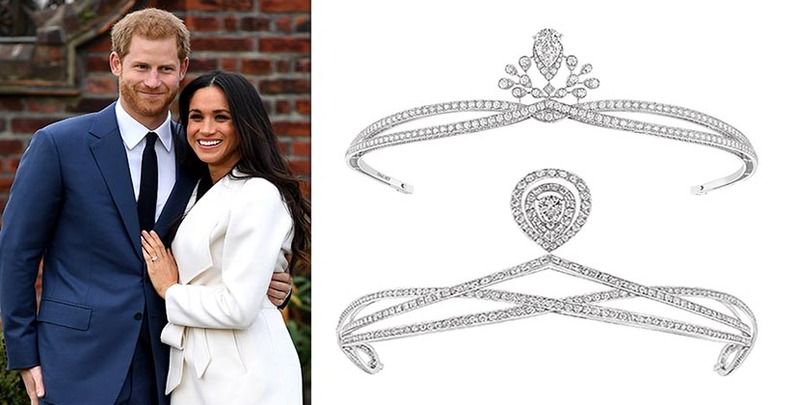 One of the most hotly debated questions about the royal wedding is what tiara Meghan Markle will wear for the occasion? The publicity department at Kensington Palace has steadily released information about the May 19 nuptials of the American actress to Prince Harry. They have revealed the wedding cake by chef Claire Ptak will be organic. The fact that the lead florist Philippa Craddock will be picking flowers from around the wedding location at Windsor Castle has been shared with the press. Information has been reported about the printer Barnard & Westwood’s use of American ink on English cards for the 600 invitations. Yet, Kensington Palace remains absolutely silent on the subject of jewelry for the big day. Of course, it is a tradition for a bride’s ensemble to be a surprise. In this instance, however, there are so many questions surrounding the tiara you’d think they might give a hint. Since they have said nothing, it leaves a lot of theories out there.